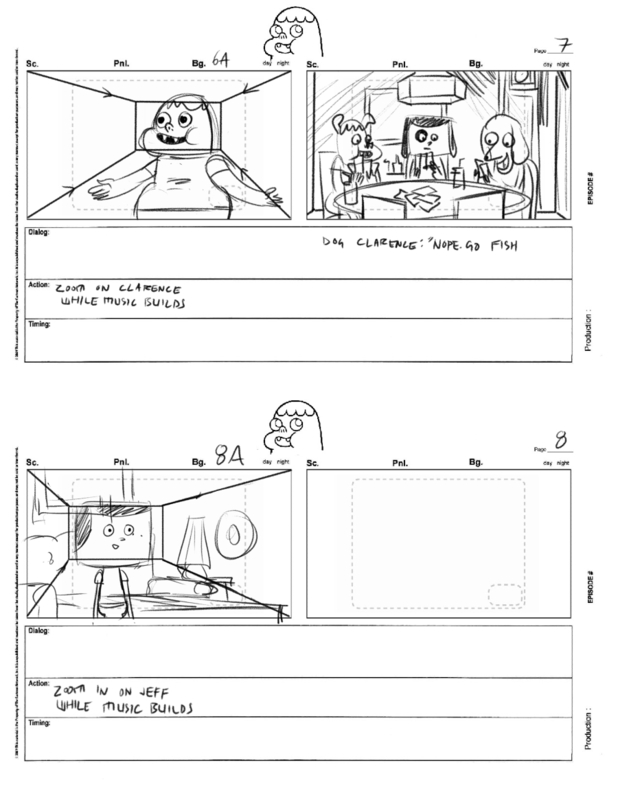 In December 2013 I was asked to do a storyboard test for a new show coming out on Cartoon Network, Clarence. 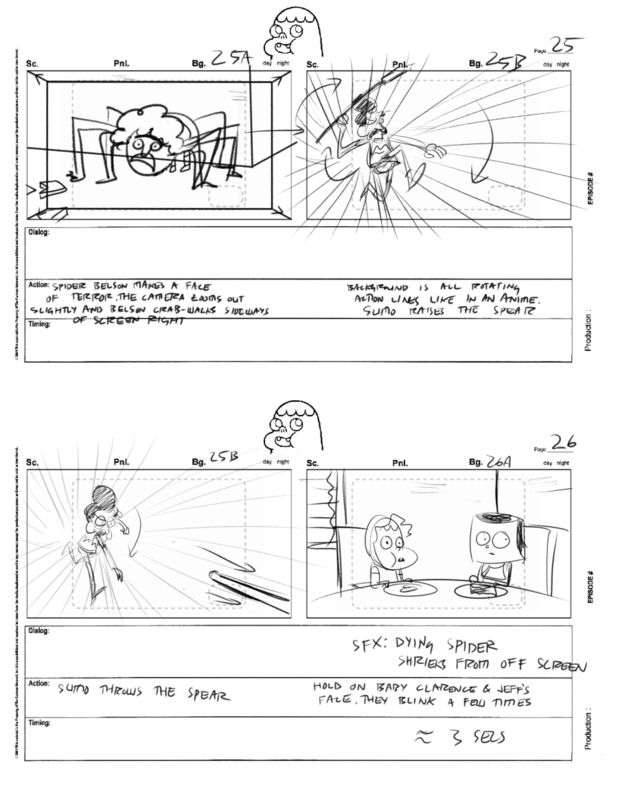 I didn't get the job, but working on storyboards was a lot of fun. 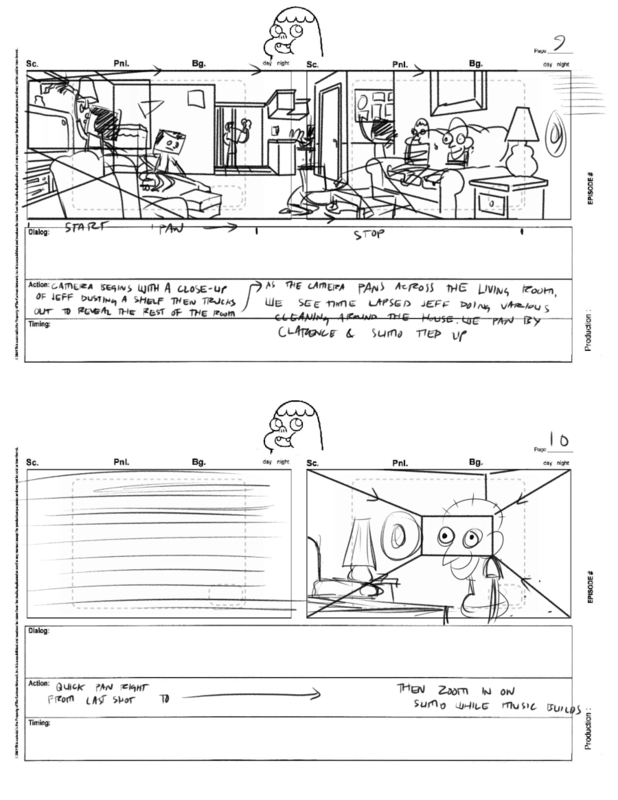 It has so many similar rules as comics, but I had to problem solve a lot of things in a totally different way.